The Buckmen of Buck Commander know hunting and they know great gear. That's why they've teamed up with Kershaw to create this set of official Buck Commander knives. 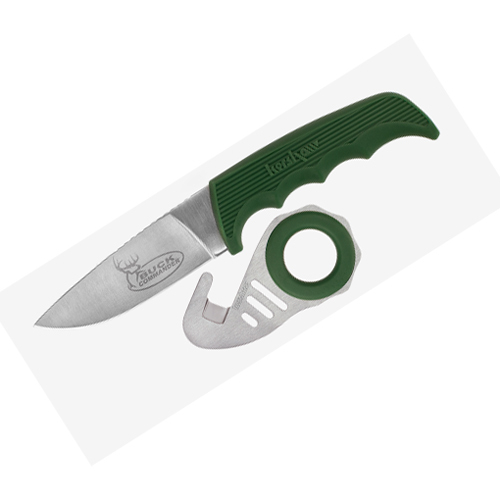 The Buck Commander knives include a selection of LoneRock hunting knives as well as Buck Commander versions of the popular Kershaw Half-Ton and 3/4-Ton pocketknives. Plus some extra-value combo packs and a sturdy camp saw. For hunting and other outdoor adventures this Buck Commander knives offer superior quality at a great value and yes gear greatness. Also comes with a Zipit and a sheath.